Your Family, Agile, and You: Empowering kids with Agile is actually pretty simple. So what exactly is ‘empowerment’? In one sentence, we can define empowerment as a process where the one with power (that’ll be you, the parent) gives up some of his power for another (your children), and at the same time he also maintains his limits and authority. This way BOTH sides grow and gain in strength. In fact, we change from a position of no control, to a position of relative control. The empowerment process strengthens the self-confidence of the one being empowered, in his ability to function, make decisions and complete tasks. In the work environment, the manager is the one with the power, whereas the employee is the powerless one. Take for example, an employee who is constantly getting chewed out. At some point, he will stop taking initiative and will only wait for instructions. Why? To avoid being punished for his mistakes. And neither he, nor the organisation, will grow. As our perception of reality alters our mood, sometimes all that is needed is to show how to perceive reality differently, which can change our mood. For example, when a kid learns to ride a bike, he will feel successful when we encourage him even when he falls. We tell him that everyone falls when they just start out riding their bike. We tell him to look forwards, not down - and be there when he falls. When he finally learns to ride his bicycle, he will feel that he can do anything. On the other hand, if the kid learns to ride his bicycle after we tell him the whole way ‘why are you falling?’, ‘why aren’t you holding on?’, ‘how many times have I told you to look forwards?’, his feelings of success will be dwarfed by his disappointment, and we will miss out on the feeling of empowerment we could have achieved. Our child’s experience was one of failure. Empowerment includes several elements, which are all included in Agile in the house. “...empowerment encourages people to gain the skills and knowledge that will allow them to overcome obstacles in life or work environment and ultimately, help them develop within themselves or in the society." We create our task board at home. The board includes the tasks, decisions, and what we need to do. We stand in front of the board every day, and our children place their tasks on the board, deciding what they need to do today (or tomorrow). This ability, to place his own tasks and make his own decisions, is very important, and contributes a lot to his sense of ability and worth. It’s true that we, as parents, will place the limits, and ensure that tasks such as ‘only eat candy’ won’t be on the board, but within those limits - the child makes all the choices. The task board enables visibility. We are around it every day. Visibility enables control. No more, and no less, and without noticing, that control strengthens our feeling of being capable. It doesn’t really matter about what in the beginning. When we feel in control, even of something small, with time we can leverage that feeling to our weaker areas as well. The family retrospective session enables forwards visibility, which gives children, and us parents, a sense of security. The situation becomes less vague and enables the children to function and make decisions with more certainty. When I know that Daddy will be coming home late all next week, I can plan tasks just for us, or with Mummy, or understand why Daddy isn’t reading me a bedtime story. It’s very important to use the board to create options to choose from, and discuss those options. Agile provides just the platform you need for this. There are many tasks on the board, and I can choose what to do. I am with my parents, and I discuss my choices with them. We recommend that you offer more than one option. Standing in front of the board and telling your children what they are going to do next misses the whole point of Agile Kids! You need to ask and guide your children. The task board is an excellent tool for this, as it focuses the conversation, and places all open issues in front of everybody, without singling out a specific family member or task as problematic. The whole family takes part in the daily meetings. Even if they are short, they still enable us to experience the decision-taking process together. The discussion itself enables growth. The children learn very fast to introduce themselves, talk about what they did the day before, what they did today, and what they intend to do. They learn to focus on what’s important, and make decisions accordingly. When I succeed, I’ll think of success. When I see my success, I will see change. When I see change, I’ll start believing in it, as well. The family is a micro social environment of the outside world, through which we learn behavioural patterns. Agile Kids gives us time to talk, learn from each other, look ahead, plan and learn from mistakes. This way, instead of dealing with things that aren’t getting done, we focs on what’s really important, and have time to learn new skills. The children see their progress and success daily. They don’t just talk about it, or are told that they have succeeded - they have tasks in front of their eyes that have moved from one side of the board (‘To do’) to the other (‘Done’). And they were the ones doing the moving. It’s amazing how much this visible evidence of success delights them. The more colourful and full the board is, the more they feel successful. Add to this the fact that we, the parents, are also there, seeing the success and talking about it, showing our children how proud we are. The task board creates a feeling of involvement. We are the ones building the board, and we are the ones using the tool to bring about change. Sometimes this is exactly why we recommend that you start by putting tasks on the board that are likely to be completed successfully. If your child is having a hard time at maths, don’t start with that task. Start with something simple, like brushing their teeth every night. Build on that success, so that you can deal with the harder tasks later on. Dealing with tasks isn’t magic (like suddenly developing an aptitude for maths) - it’s just being open to new methods of dealing with difficult tasks (such as breaking tasks into small parts). The willingness to open up to new methods is built on the feeling of success felt on achieving other tasks. We’ve talked about this before, so in just a few words - sometimes it’s much easier for us to tell our kids what to do, rather than let them decide for themselves. When to tidy their room, what’s wrong - instead of telling them how fantastic they are. Instead of feeling success, they just feel failure. When you come home, and just complain about the tasks they didn’t do, you don’t compliment them on the tasks they DID do. 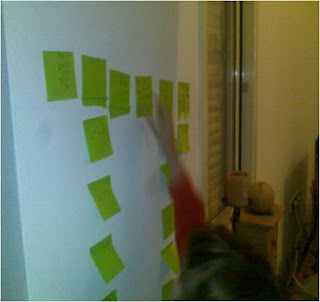 Agile Kids enables you to develop this pattern, and creates order and visibility around all the tasks. This opens a place for the family to talk about the tasks - and leaves plenty of room for praise. So smile. Say how happy you are. ● Blanchard, Kenneth H., John P. Carlos, and Alan Randolph. 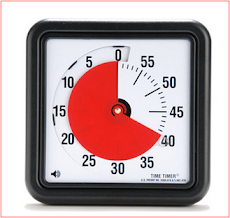 Empowerment Takes More than a Minute. San Francisco: Berrett-Koehler, 1996. Print. ● Stewart, Aileen Mitchell. Empowering People (Institute of Management). Pitman. London: Financial Times Management, 1994. Print. ● Thomas, K. W. and Velthouse, B. A. (1990) Cognitive Elements of Empowerment: An 'Interpretive' Model of Intrinsic Task Motivation. Academy of Management Review, Vol 15, No. 4, 666-681. ● Wilkinson, A. 1998. Empowerment: theory and practice. Personnel Review. [online]. Vol. 27, No. 1, 40-56. Accessed February 16, 2004.